Here you can begin to discover your family history in the trade union movement. Trade Union Ancestors can help you locate a specific trade union in time and place with the A to Z index of trade unions and trade union family trees. In addition, you can read about some of the events and people that shaped the trade union movement through 200 years of history in our trade union histories, trade union lives and striking stories. The scale of the British trade union movement is astounding. Tens of millions of people have been members, and 5,000 trade unions are known to have existed at one time or another. The historic union records that survive illuminate the working lives, daily concerns and political attitudes of our ancestors. There can be few people who, in researching their family history, do not find at least one active trade union member. 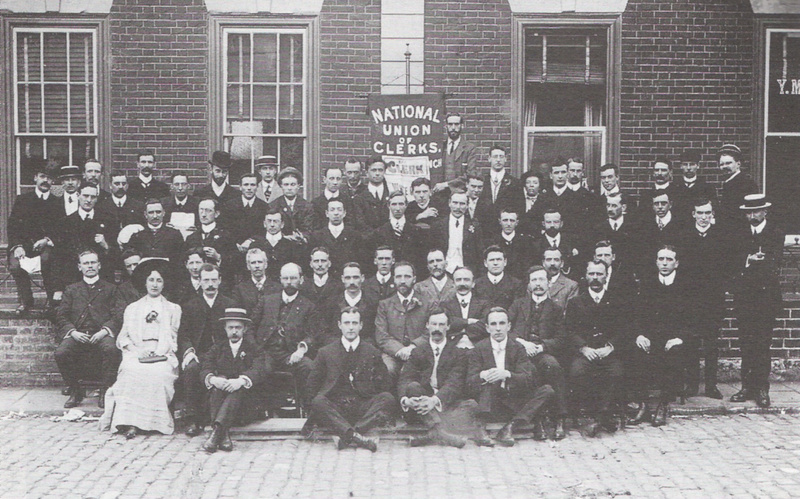 This website aims to help family historians to identify the correct union, to discover the role their ancestor played in it, and to find out more about trade union history. If you already know what you are looking for, I suggest you use the search box (at the top right of this page). This is a one-person, spare-time operation. Suggestions, corrections and additions are welcome, but I cannot offer one-to-one help with your research.